What is Mppt Solar Charge Controller? A solar charge controller regulates the charge going into your solar battery bank from your solar panel array. It protects the battery from overcharging or from discharging. It also prevents reverse current flow at night. 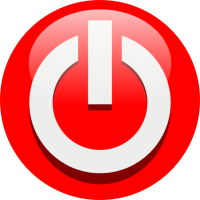 There are two types of charge controllers and they are maximum power point tracking and pulse width modulation. The main difference between these two types of charge controllers is that the best Mppt solar charge controller is more efficient than a PWM solar charge controller. Currently, the Mppt solar charge controller is the most common type of charge controller and can gain you up to 30% more power than the PWM controllers. Additionally, the Mppt charge controllers allow the strings of panels to be linked in series for higher voltages, keeping the amperage lower and the wire size smaller. 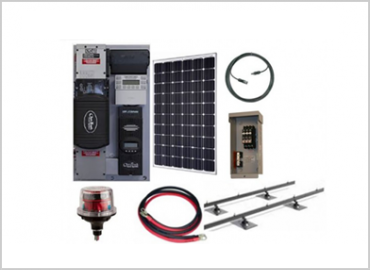 Ensure to pick a solar charge controller that is compatible with the system voltage. Most charge controllers have configurations of 12, 24, and 48 volts. So, if you’re wiring your batteries for 48 volts you need an Mppt solar charge controller that is rated at 48 volts. There are charge controllers that are voltage specific, which means that the voltage cannot be altered. In some cases, you may come across advanced solar charge controllers that have an auto-detect feature. This feature allows charge controllers to be utilized with different voltage settings. Choose a solar charge controller that can handle the maximum output current of the solar panel. The maximum potential current that a solar panel can produce is the “short circuit current” shown as Isc in the panel’s label. Moreover, it is encouraged to include a safety factor for isolated events, too. Why Choose Mppt Charge Controller Over Other Types? First and foremost, Mppt solar charge controller is usually utilized where your solar array’s voltage is higher than your battery bank’s voltage. Also, Mppt charge controllers function great with systems that have panels with odd voltage ratings. Whenever an Mppt solar charge controller detects a difference in voltage, it automatically and efficiently converts the higher voltage to the lower voltage, so that your PV modules, solar battery bank, and charge controller can be the same in voltage. For instance, if you have a 900-watt solar array with 48 volts, and your battery bank’s voltage was 24 volts, you can determine the amps your solar charge controller requires to have by dividing the watts by the lower of the two volts. In this case, it will be 900W/24V which equals 37.5 Amps. Where to Buy Mppt Solar Charge Controller? Since there are many companies that sell Mppt solar charge controllers, it is important that you select from the best. For instance, Outback power systems offer some of the best solar inverters, charge controllers, system management, and energy storage. Depending on your needs, you can either choose Outback FLEXmax 60/80 charge controller or FLEXmax 100 charge controller. If you don’t know which Mppt solar charge controller to get for your solar system, get in touch with Fire Mountain Solar and you will get the best advice and options available. With our experience, we will ensure that you make the right selection and investment. FM offers renewable and alternative power system products and services that benefit our clients. Contact us and get a free quote today.